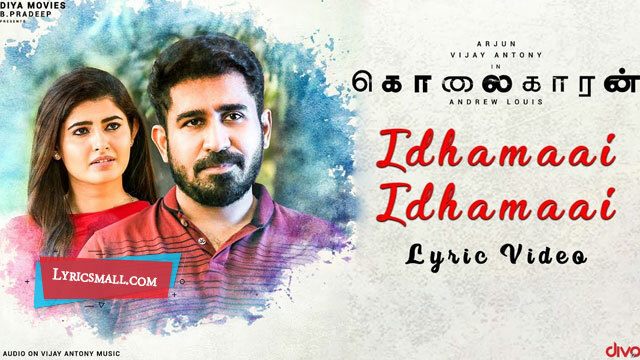 Idhamaai Idhamaai song Lyrics from Kolaigaran Tamil Movie. Directed by Andrew Louis. Produced by Pradeep under the banner Diya movies. Starring Arjun Sarja, Vijay Antony, Ashima Narwal. Music composed by Simon K. King. Lyrics were written by Dhamayanthi. Sung by Karthik, Keerthana Vaidyanathan.